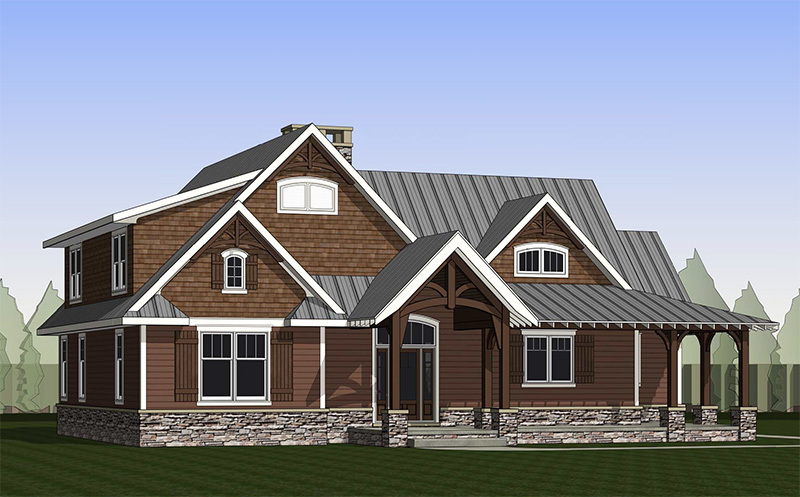 Gary Plante, owner of Cedar Hill Log Homes and Cedar Hill Realty in Rehoboth, Mass., has now added more innovative new wood home options to his list of offerings by becoming an Independent Dealer for Southern TimberCraft Homes. Plante said that Southern TimberCraft designs, custom crafts and builds distinctive homes and commercial structures that combine real wood elements with advanced energy efficient, low maintenance construction techniques. “With Southern TimberCraft customers get the luxurious beauty of wood and the affordability of systems built construction,” Plante said. Southern TimberCraft is a division of 39-year-old Honest Abe Log Homes, a family owned wood home manufacturer based in Moss, Tennessee, for which Plante has been a dealer since 2017. “Having the backing of an established company like Honest Abe provides Southern TimberCraft with the quality of materials and depth of experience to design and create structures with distinctive features at a competitive price,” Plante said. Plante said the variety of building material options coupled with outstanding original designs – all modifiable and customizable – convinced him to open a local dealership for Southern TimberCraft. As owner/broker at Cedar Hill Realty in Rehobath, Plante has more than a decade’s experience in real estate. With Cedar Hill Log Homes and Southern TimberCraft, he is in a prime position to help customers create retirement, vacation and dream log homes and timber frame homes or hybrids as well as innovative and appealing commercial structures in Western Massachusetts and Northern New England. Contact Gary at (508) 455-0110 or gary@cedarhillloghomes.com for more information. Download the Southern TimberCraft flyer here. Meet Gary and learn more about Southern TimberCraft and Honest Abe homes at the Foxboro Home Show, Gillette Stadium Field House, March 23, 24, 25 in Booth 718 www.foxborohomeshow.com.